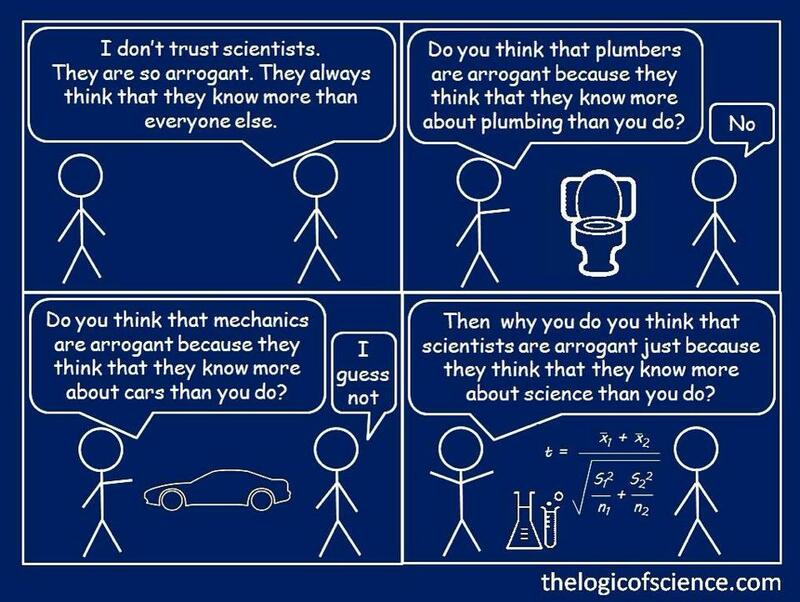 Sciblogs | The arrogance of science? This comment of Richard Feynman’s indicates to me the essential humility of science. Yet we often find that people who seem to subscribe to the support of “answers that can’t be questioned” will accuse science and scientists of arrogance. I suspect this is because they have put themselves in the position of being unable to support the claims they are making. 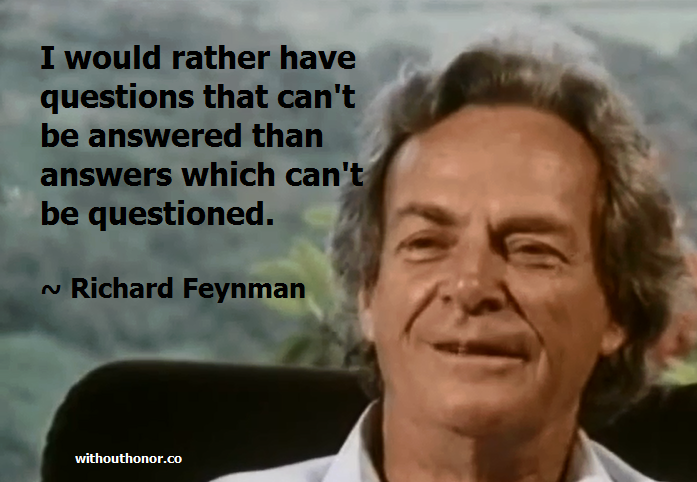 That Feynman quote is great! (As is pretty much anything Feynman-ish…) I suspect I will use it a lot. The answer you will not permit to question is the belief that the climate is controlled and warmed by human emissions . Vincent – could you either support your claims about me or withdraw them. Where have I ever proposed the idea that the climate is controlled by human emmissions (sic) and where have I ever suggested one is not permitted to question that? Now come on – you have made a serious charge – and if you have no evidence for it then the honest thing to do is withdraw and apologise. Science is always about questioning. As for you talk about the impossibility of measuring some sort of representative temperature for the planet, of suggesting that weather forecasters have the only models possible to understand long-term climate those statments are just naive and silly. You have made serious unsubstantiated assertions, without explaining their relevance to anything written here.